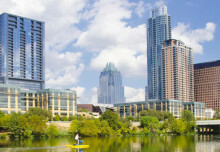 Newberry Law > Austin Family Lawyer Blog > Austin Divorce Lawyer > Will I Get Spousal Maintenance? WILL I GET SPOUSAL MAINTENANCE? Many clients who have been married longer than 10 years commonly request post-divorce spousal maintenance. I am often asked the difficult question of 1) will I get spousal maintenance; 2) how much will I get; and 3) how long will it last. Although the Texas Family Code clearly shows that a court could award, the answer is usually what they may award. I constantly tell my clients that they are eligible to request spousal maintenance; however, they are not entitled to spousal maintenance. (C) is the custodian of a child of the marriage of any age who requires substantial care and personal supervision because of a physical or mental disability that prevents the spouse from earning sufficient income to provide for the spouse’s minimum reasonable needs. (11) any history or pattern of family violence, as defined by Section 71.004. (2) developing the necessary skills to provide for the spouse’s minimum reasonable needs during a period of separation and during the time the suit for dissolution of the marriage is pending. After reading the above statutes it is clear that those who have been married for longer than 10 years may request spousal maintenance from the courts in Texas. Section 8.052 sets out specific factors in determining if and how much the court will award spousal maintenance. Barring any outrageous fraudulent spending by one of the parties the courts usually focus on providing for a spouse’s minimum reasonable needs. In Travis County this can be accomplished easily by filling out a budget (required in Travis County) to show what the client’s expenditures are on a monthly basis. It is helpful to provide a budget to the judge in every county to show what your client’s minimum reasonable needs are. Without this evidence there is little chance that a judge can determine what (if any) should be awarded to the client. In my experience the court’s also rely heavily on the length of the divorce proceedings (or separation) and whether or not the client requesting spousal maintenance has made a diligent effort to obtain employment to help earn sufficient income to meet their reasonable minimum needs and/or attempted to develop skills to provide for their reasonable needs during the separation (or pending divorce proceedings). This is an answer that no family law attorney can answer with certainty. Courts have wide discretion on awarding spousal maintenance and how much (to a degree. See Section 8.055) The more money that a client receives on a final hearing from the community estate the less of a chance they have to receive spousal maintenance as well. 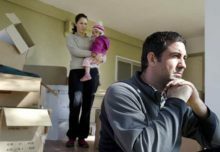 Spousal maintenance in the State of Texas is designed to help meet the reasonable minimum needs of the non-monied spouse. If the non-monied spouse is awarded $500,000.00 in a divorce the court is likely to deny their claim for spousal maintenance. Be prepared to face this fact in court and use it to your advantage in mediation to obtain some spousal even if your client is awarded a large amount of the community estate. What is Expanded Standard Possession?